Susan L. Taylor, Essence magazine editor-in-chief emerita, celebrated her 70th birthday during a fundraiser for her organization, the National CARES Mentoring Movement. The event was hosted by Michael Eric Dyson, and featured high profile guests like Rev Al Sharpton, Gayle King, Terry McMillan, Valerie Simpson, Tamron Hall and Terrie Williams. The gala honored Eddie and C. Sylvia Brown for their philanthropic support of educational initiatives through the Brown Family Foundation. The first-ever “For the Love of Our Children” gala, presented by Verizon, raised over $1 million to provide support to the nation’s most vulnerable youth with much-needed mentoring from able and caring adults. The organization’s national volunteer affiliate network connects adults to local youth-serving organizations. Learn more about the CARE Mentoring Movement . Watch a clip of Valerie Simpson singing Vivian Green and leading the “Happy Birthday” serenade. The International Center of Photography (ICP), the world’s leading institution dedicated to photography and visual culture, honored Lauren Greenfield at the fifth annual ICP Spotlights luncheon, held at 583 PARK AVENUE in New York City. The benefit event celebrated the significant contributions of female artists in photography and film. The night honored Lauren Greenfield, an award-winning American artist, documentary photographer and filmmaker whose work explores the themes of gender, body image and affluence. Greenfield has published three photography books and has exhibited her work at ICP and many other cultural institutions and galleries throughout the world. The luncheon also featured a special tribute, as well as the introduction of a scholarship fund in her memory, to award-winning documentary photographer Mary Ellen Mark, who died in May 2015. 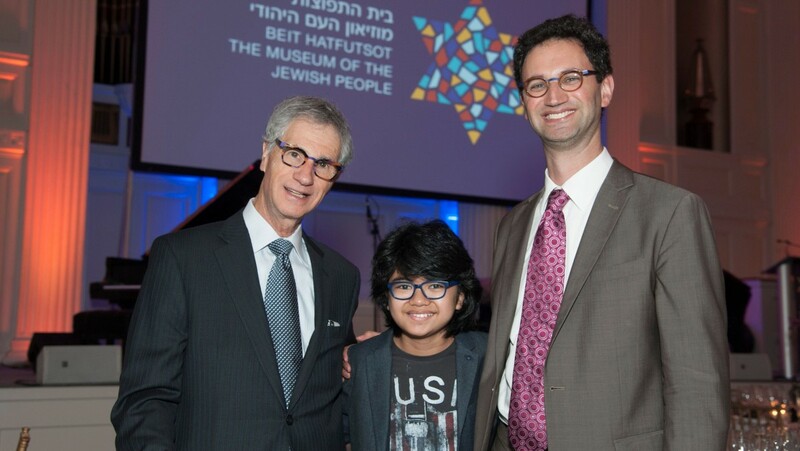 Beit Hatfutsot museum celebrated Jewish diversity and culture at 583 PARK AVENUE at a recent annual gala. Established nearly 40 year ago, Beit Hatfutsot is the sole institution anywhere in the world devoted to sharing the complete story of the Jewish People with millions of visitors from all walks of life. It has been reimagined as the Museum of the Jewish People at Beit Hatfutsot, which works on-site, online and around the world to build connections celebrating 4000 years of Jewish life, culture, and history — engaging those of any age, background or lifestyle. Beit Hatfutsot Fellowship — the museum’s highest honor award was bestowed upon Penny and Claudio Pincus who “nurtured a family in the U.S. Chile and Israel.” Born in Chile to Jewish parents who emigrated from Germany, Claudio volunteered for a year in Israel through the 1967 War. Twenty-five years ago Claudio founded The Quantic Group, a global pharmaceutical consultancy which he currently manages with the help of son Daniel. Are you planning an event in New York City? Contact one of 583 PARK AVENUE’s Event Coordinators today to learn more about our venue. This entry was posted in About 583 Park Ave, Featured, Private Events and tagged 2016, birthdays, celebrations, charities, event hosting, events, Gala, new year, nonprofit, private events on February 26, 2016 by Pooja Dhuldhoya.